This little volcanic island in the Canaries has a laid-back vibe, otherworldly landscapes and a few unexpected experiences. Here are a few of our favourite things to do in La Palma. Strung off the west coast of Africa, the upside down teardrop-shaped island of La Palma is one of westernmost Canary Islands. This Spanish archipelago is a hugely popular holiday destination for travellers seeking year-round sunshine, but La Palma sees just a fraction of visitors compared to neighbouring Tenerife, Gran Canaria and Lanzarote. There are very few big resorts here, and even in peak season the beaches are quiet. La Palma has a unique culture, with a laid-back Spanish appeal that’s more akin to South American countries than mainland Spain. If you’re thinking about a Canary Islands holiday but want to avoid the crowds, this is the isle for you. Here are a few of our favourite things to do in La Palma. La Palma’s north is a luscious, green landscape with verdant hills and a rainforest feel, but the southern end of the island is a stark contrast. You can see the gradual shift along a hiking trail that follows the mountain ridge from the central, partially-collapsed caldera all the way to the southern tip. You can hike the entire trail over a couple of days, but if you’re not an avid walker, try the south section of the route. Start in the town of Fuencaliente and head due south to find the footpath that zig-zags down the sloping ridge. There are more succulents here than in the hipster coffee shops of London, New York and Berlin combined. The charcoal ground, green plants and blue skies make a striking, ultra-Instagrammable sight that any interior designer would be proud of. 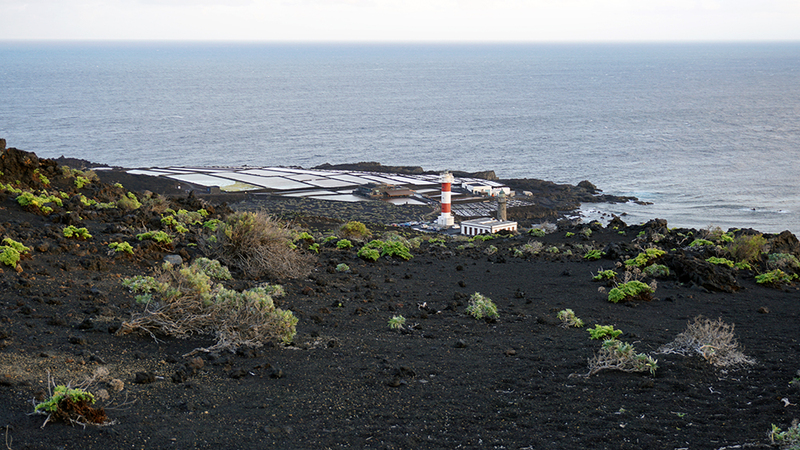 This walk passes over some of the island's youngest soil, and the reward at the end of the route is a cooling Gara beer (a La Palma product) at Restaurante Temático El Jardín de la Sal. Arrive at the right time and you’ll be able to sip it as the sun sets over the ocean, a grid of salt pans and a couple of perfectly-placed lighthouses. 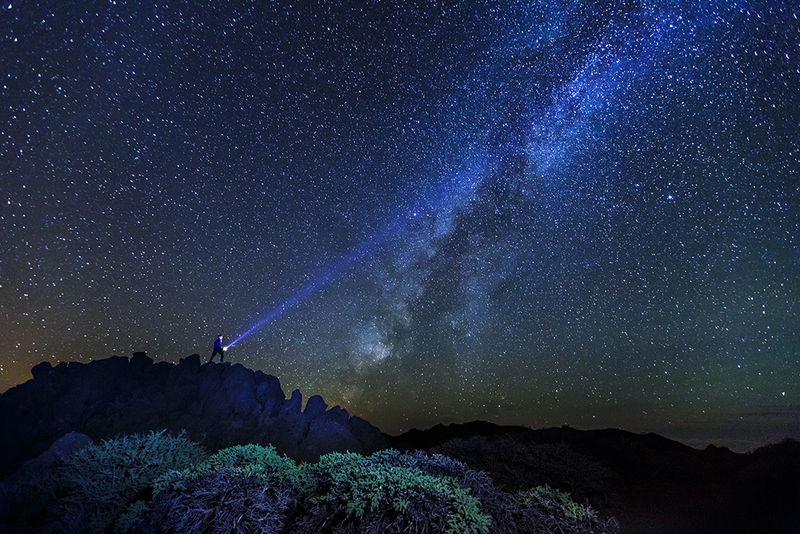 Recognised by UNESCO as an official ‘Starlight Reserve’, on a clear night La Palma offers seriously special stargazing opportunities. For the last two years, the island has hosted Astro Fest, a celebration of all things astronomy, culminating in the Space Runners race – a 46-mile run along the island’s mountainous ridge. Spend an evening beneath the stars with Antonio González, owner and founder of astronomy tour operator Cielos La Palma. Opt for a dinner and stargazing combo and you’ll have the opportunity to pick his brains over traditional food before heading outdoors to discover the constellations and see star clusters up close through telescopes. Alternatively, head to the internationally-acclaimed observatory, El Roque de Los Muchachos, where there are telescopes and fabulous views over the island and up to the skies. There are no facilities here, though, so bring warm clothes and a picnic. One of the Canary Islands’ best inventions is the barraquito: a strong, boozy coffee served in a shot glass. It’s a layered drink, with condensed milk at the bottom, then a dash of Licor 43, espresso coffee and milk froth on top. It’s best consumed in the mid-morning (you’re on holiday, after all) on the seafront. Head to one of the cafés north of the beach at Tazacorte on the island’s west coast, or – if you’re in the capital Santa Cruz – stop in at the lovely courtyard garden café Casa Tey. 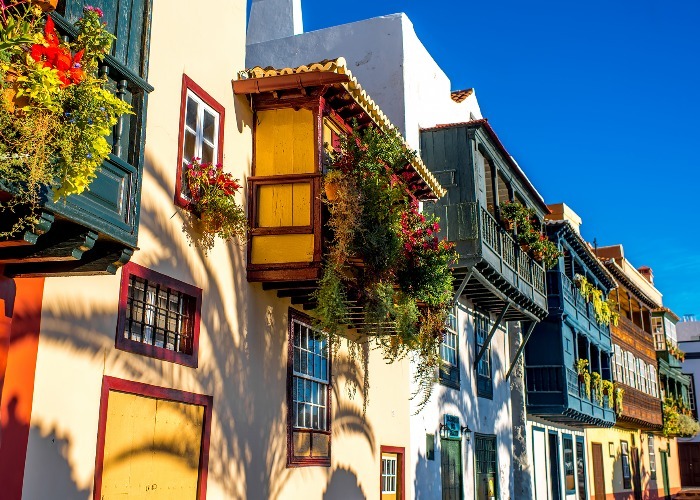 Every Sunday, La Palma’s hippie population descends on Los Llanos to buy and sell jewellery, antiques and art at the Rastro de Argual Flohmarkt. There’s a bohemian vibe, with live music played by tanned, dreadlocked men wearing tie-dye and a steady flow of sugarcane mojitos well before midday. The main thoroughfare is Calle San Antonio, but don’t miss the Artefuego glass-blowing workshop tucked away in a corner. 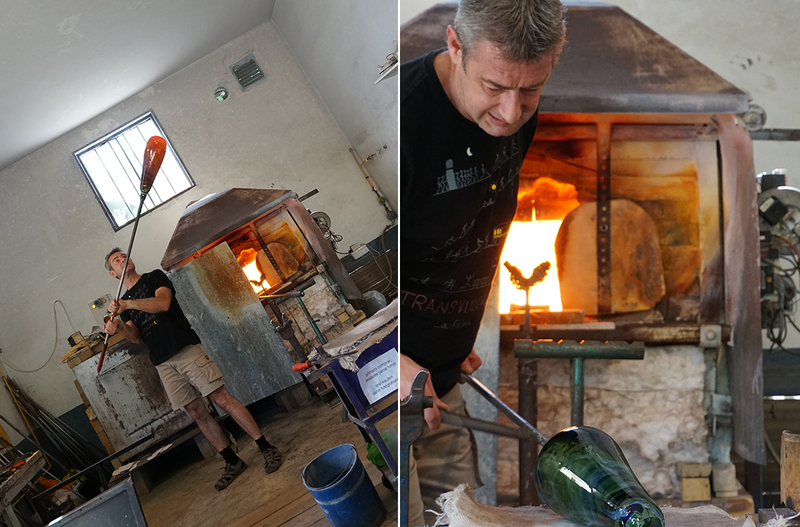 Head inside and you’ll find the artist busy at work making beautiful vases and plates from multicoloured glass. Once you’re done shopping, have lunch at El Duende del Fuego. Leave decision-making at the door and enter with an open mind is the message from head chef Pedro Hernandez who will curate a bespoke tasting menu for your party. For just €15-30 per person you’ll dine on at least four courses of sublime food, from bright pink risotto, coloured by prickly pear juice, to a sweet-and-savoury plantain dish with lime sorbet. Hernandez’s entire menu can be tailored for any dietary requirement and almost all ingredients are gluten and dairy free. Forget shimmering white sands and golden beaches: black is the new yellow here. 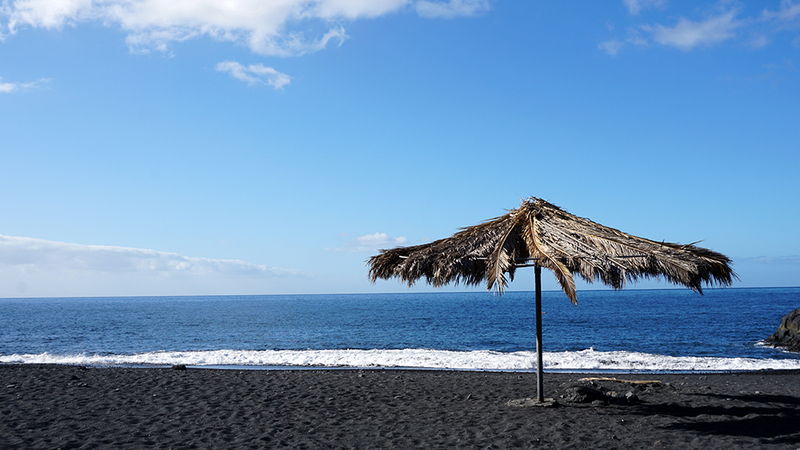 La Palma’s volcanic origins mean its beaches are made up of dark grey sands. It might not sound beautiful, but there’s something captivating about the dark colour set against blue skies and wooden boardwalks. Some of the best beaches are on the west coast of the island, like Tazacorte, Puerto de Naos and El Charco Verde. Every February, the usually sleepy city of Santa Cruz de la Palma puts on a wild party. Around 80,000 people from neighbouring islands and mainland Spain come each year to have the world’s biggest talcum powder fight in the streets. Named Los Indianos (“The Indians”), the carnival is meant to celebrate the return of wealthy emigrants from the Americas. There are some dubious traditions – such as one involving a man painting his skin jet black and dressing up as a woman – and no one really knows what the significance of the talcum powder is, but the palpable sense of celebration throughout the streets is undeniably infectious. 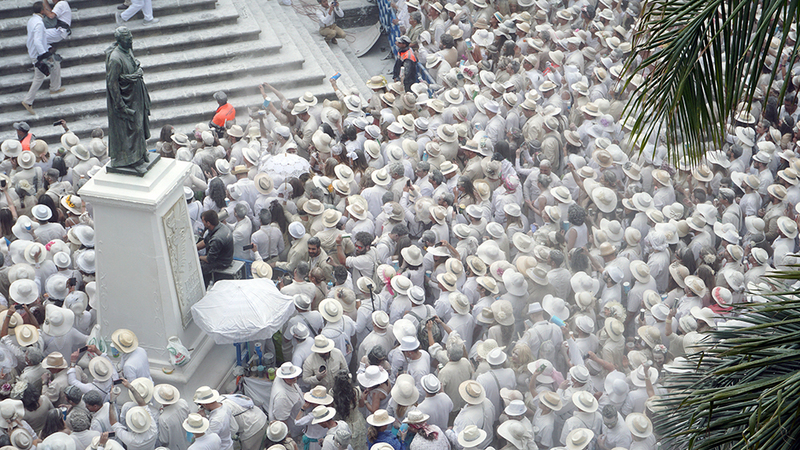 Expect sugarcane mojitos, live Cuban music and tens of thousands of people dressed in white, throwing clouds of white powder at anyone who passes. If you can’t make it for the carnival, the island is known for having numerous fiestas throughout the year. Each town and village has its own celebration, often centred around religion but always a thrilling party. easyJet flies from London Gatwick to La Palma on Tuesdays and Saturdays, with return prices starting from £46.46 per person (including taxes and based on two people on the same booking). All flights can be booked at www.easyjet.com.